Workshop: Playing with fire (Jean Batista Abreu), University of Puerto Rico at Mayaguez. Faculty Workshop, University of Puerto Rico at Mayaguez. * Development of an instrument to evaluate students’ perspectives on structural failures, Godoy L. A. & Valeiras, N., Proc. ASEE Annual Conf., Vancouver, Canada, June 2011. * Story-centered learning in a computer simulated environment, Godoy, L. A., Proc. ASEE Annual Conf., Louisville, KY, 20-23 June 2010. * Extracting expert knowledge on Geotechnical failures for use in Civil Engineering education, L. A. Godoy, P. A. Covassi, Proc. ASEE Annual Conf., Louisville, KY, 20-23 June 2010. * Interviews with experts, in which they explain how they solved structural failure investigations, L. A. Godoy, Proc. ASEE-SE Annual Conf., Blacksburg, VA, 18-20 April 2010. * Developing a Computer-Based Simulated Environment to Learn on Structural Failures, L. A. Godoy, ASEE Annual Conf., Austin, Texas, 14–17 June, 2009. 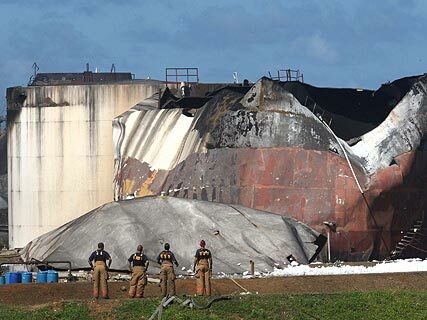 * Investigación de causas de explosiones en plantas petrolíferas: El accidente de Buncefield, J. Batista Abreu, L. A. Godoy, Revista Internacional de Desastres Naturales, Accidentes e Infraestructura Civil, vol. 9(1-2), pp. 187-202, 2009. * Godoy L. A. (2009b), Una revisión del programa de investigación sobre aprendizaje activo en un ambiente simulado desde la perspectiva de la educación en Ingeniería, Latin American and Caribbean Journal of Engineering Education, vol. 3 (2), pp. 61-75, 2009.